Helen Palmer remembers when she first heard about BAG—it was at a fair in Cambridge on green activism—and the moment itself is crystal clear. “I signed up at once,” she said. “In a way, you don’t need to be convinced. It’s just such a no-brainer. If you think about it, it’s very simply forging a link in the chain that’s missing.” It’s filling a need for farmers, who have produce to spare, and for families, who are hungry for it. Early on, Palmer, who is 72 and a public radio producer, would make harvesting trips with BAG founder Oakes Plimpton in the days when the organization was still getting grounded. Some of the expeditions were memorable. “I recall going out in the snow to glean potatoes only to discover they were frozen in the ground,” said Palmer. Nowadays, things are a little more organized. And from the beginning, said Palmer, some really dedicated farmers were part of the initiative, even though there was no way for them to write their BAG contributions off their taxes, and they had to put up with strangers, many of whom knew little about farming, out their fields. Not only does BAG attract hard workers, said Palmer, all of them are personable. And for Palmer, whose professional life requires her to spend a good deal of time behind a computer, thinking, the chance to dig in the dirt for three or six hours a week is a good antidote. “It’s a perfect recreation for me,” she said. And inspirational, too. Though Palmer, who lives in Cambridge, has a garden and works conscientiously at it, she says she’s not terribly efficient. So, when she goes out to a farm and sees what’s possible, it’s exhilarating. “People who know what they’re doing can produce these amazing crops that are there at the peak of their freshness, and to deliver to people who otherwise wouldn’t get it—it’s just so perfect,” said Palmer. When the farm calls to you... listen. 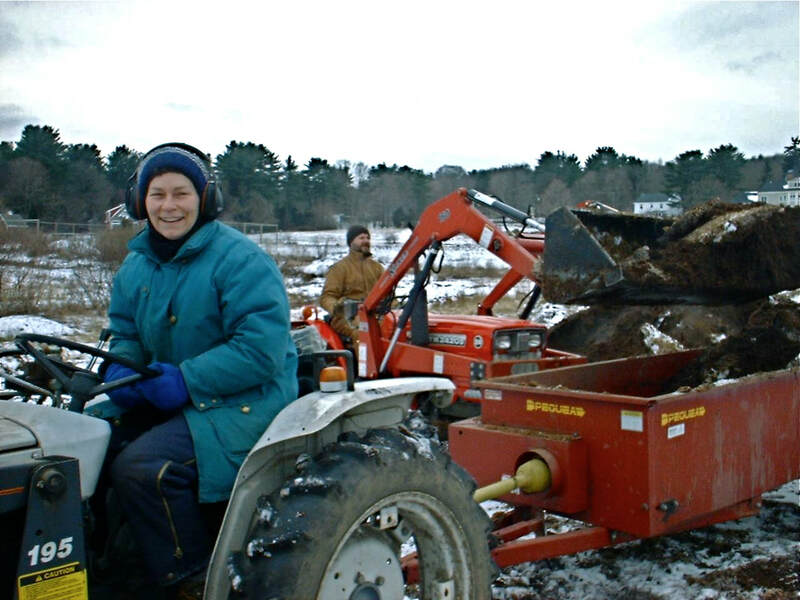 For Sally Thompson, the Boston Area Gleaners popped up on her radar at just the right moment. About to retire, the Acton resident, now 66, was looking about for meaningful volunteer opportunities she could pursue when her time became her own. Thompson’s spouse happened to visit the Wayland Winter Market one day in early 2016 where an enthusiastic BAG representative was handing out brochures and telling passers-by about all the good work the organization does. When the information made it home to Thompson, she knew she had found a new calling. BAG’s mission spoke to her: Thompson, who is also a volunteer staffer at a food pantry in a neighboring town, was keen on the idea of rescuing surplus crops so they could be used to help those in need. Soon, she was joining gleaning trips, donating money, and volunteering in other ways, too. At the annual meeting of the Massachusetts Public Health Association, for instance, she helped staff a BAG table, and whenever she can, Thompson spreads the word. “I talk about gleaning when I am in social settings to increase interest and perhaps volunteers,” she said. 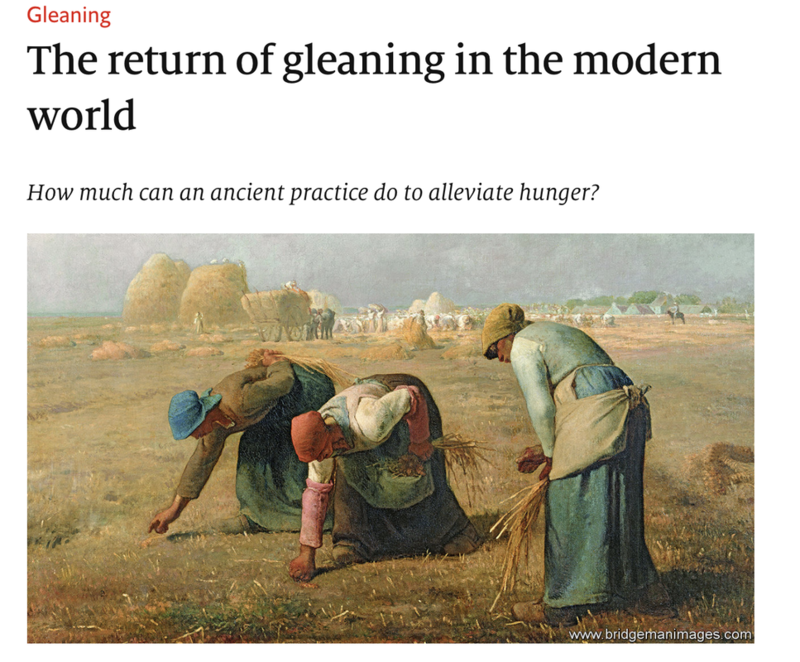 And after listening to Thompson, who wouldn’t want to go on a gleaning trip? There’s a good deal of truth in the saying about a photo being worth a thousand words: If Rob Ann Tomlinson hadn’t been intrigued by a full-page newspaper spread picturing a harvester in a field, she might never have learned about the Boston Area Gleaners. She might have skipped the story all together. Instead, BAG has become a family affair for the Tomlinsons of Wellesley. Not only did Rob Ann, 72, decide to become a volunteer, she convinced her husband, Brad, (pictured above left) who had recently retired, to give it a try. It didn’t take him long to get hooked—deeply—and now, years later, their daughter, Tess, (pictured above right) has joined the BAG staff. That was all back in 2013, when the operation was a good deal simpler than now. “I remember that first summer we caught the beginning of corn season,” said Brad, 74. “It was beautiful. Hot and hard work, but we were both healthy and able to do the work. It wasn’t nearly the organized and mechanized-assisted activity that it is today. It was pushing a banana box through the corn row and filling it up.” When the boxes were brimming, volunteers would lug them out of the field themselves, or call to one of the coordinators for help. Today, Brad said, refrigerated trucks and front-loading buckets for apples make the work more efficient for everyone. But the charm of those early days, he added, lives on in the camaraderie and friendliness volunteers find in the fields. “It’s still wondrous,” said Rob Ann. And it’s still hard work. That’s inevitably the nature of farming. But knowing that up front helps volunteers gauge what they’re capable of, and which crops might suit them best. And BAG makes it easy: When gleaners sign up for a harvesting trip, they have a choice of crops, locations, and weather conditions, Brad noted. For the Tomlinsons, there’s satisfaction in working with an organization that is striving to keep pace with a critical local need, and providing healthy eating options for people who might not otherwise have them. “It’s exciting to be part of something that’s growing so much in terms of the pounds of food that is gathered and delivered to the various food pantries,” said Brad. At 60, Somerville resident Todd Kaplan suspects he may be one of the longest-serving volunteers among the ranks of many who flock to the fields for the Boston Area Gleaners. 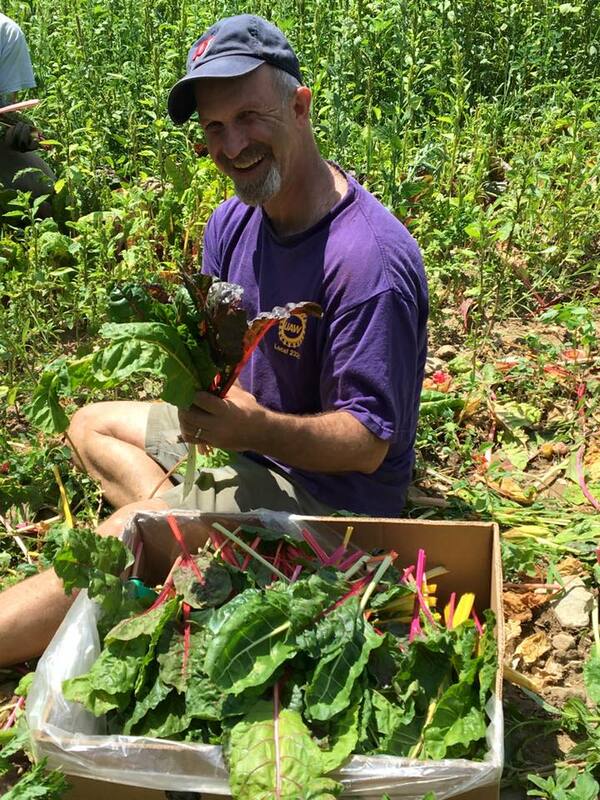 He started picking produce for BAG back in the early 2000's when the organization trundled volunteers from farm to farm in a rickety, old van that belonged to founder Oakes Plimpton. Since the beginning, Kaplan, a lawyer with Greater Boston Legal Services, has been drawn to BAG’s mission, especially after all he had learned about food delivery while volunteering in a soup kitchen in Washington, DC where up to 300 people a day were receiving meals. So, when Kaplan learned about BAG’s approach—gathering good, fresh food and getting it to people in need—it struck a deep chord. “It was very attractive to me. I said that’s something I really want to do,” he recalled. “Once I started, the thing that kept me going was not only the mission but also feeling that we were really giving a gift of high-quality food to people in need.” Plus, a lot of the food is low-spray or organic—the kinds of produce that can be priced out of reach for many people. Even though he’s busy with work and frequently has to rely on carpooling to get to the farms, Kaplan still manages to squeeze in about 10 gleaning trips a year. “Corn and apples are definitely the favorites,” said Kaplan. But he’s not averse to heading out on winter days to glean carrots, potatoes, and kale—all of which are hardy enough to survive the cold. “It’s kind of nice, as long as it’s not raining,” he said, recalling one December trip to a farm where the gleaners stumbled on a row of pristine greens stretching almost as far as the eye could see. The farmer said they could take as much as they wanted as he had harvested all he needed and was about to plow the produce under to nourish the soil. As wonderful as that gift was, there was a limit to how much the gleaners could actually take, said Kaplan, because the other side of the equation is distribution. Logistics. That may be the operative word for BAG as it continues to scale up its operations. And from where Kaplan sits, the challenge isn’t just about how to get harvests from field to table, it’s how to get volunteers from home to field: He longs for a more robust carpooling system. If only Zip cars could be gleaned. Looking back at fall apple gleaning! 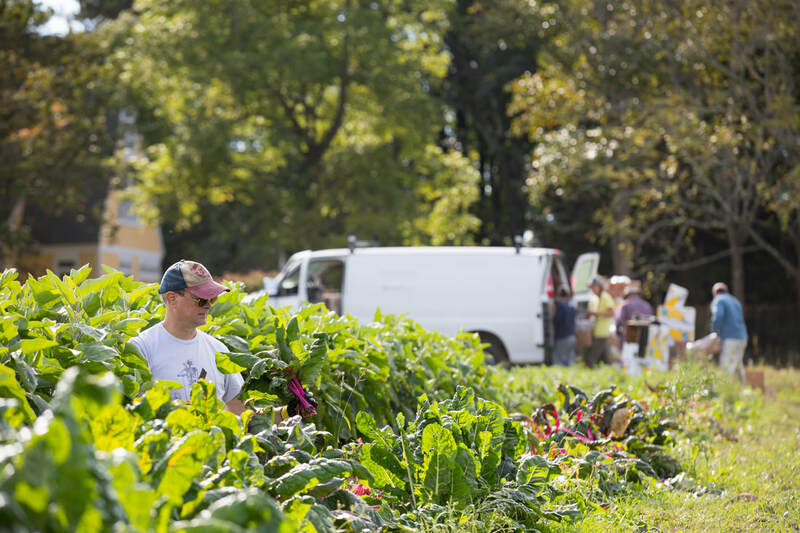 When you live in a densely populated part of the world dotted with malls and office parks, crisscrossed by highways, and jammed with suburban homes, the notion that working farms—a lot of them—could be part of that mix might never occur to you. For Mary Sue Ankner, an IT expert in the financial services industry who lives in Watertown, that has been one of the biggest delights since she first started volunteering with the Boston Area Gleaners. And it’s not just the number of them that thrills Ankner, it’s the spirit of the people who till their soil. Ankner has been involved with BAG for about eight years, ever since she spotted a woman, a card table, and a simple sign at a sheep sheering festival. But the next thing Ankner knew, she was hooked. Soon, she was contributing as a gleaner herself. It’s the kind of volunteering that suits her spontaneous style—signing up for harvesting trips a few days in advance with no long-term planning required. And from the beginning the trips fed her soul. 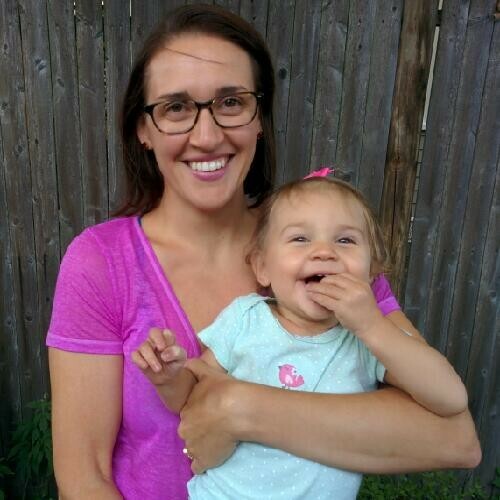 For Ankner, who is keenly aware of how vulnerable families can be to hard times and how quickly healthy food can become out of reach for them, knowing her volunteer efforts will have an immediate effect is particularly gratifying. It’s important, she said, to ensure that families can get access to fresh produce. “We’ve all got to eat, and it’s going to be better for us if we all eat better,” said Ankner. Gretta Anderson knows better than most the myriad challenges farmers face: She spent years working as one. Now, she’s sharing that deep-rooted expertise with the Boston Area Gleaners as a member of its board of directors. Anderson, 59 and a resident of Arlington, recalls clearly her reaction when she first learned about BAG back when she was running a community supported agriculture program. Overproducing is one way farmers can manage the risk of crop failure. “As my mentor used to say, if you haven’t grown it you can’t sell it,” said Anderson. Tight budgets never allowed her to hire agricultural workers to harvest food for which she wasn’t paid, so the idea that BAG would bring a group of laborers into the fields to glean those extra crops for a good cause was an appealing concept, said Anderson. But then, her next reaction was trepidation. Those worries were laid to rest when Anderson met BAG’s Matt Crawford and she quickly realized she was dealing with a fellow farmer deeply in tune with her perspective. That’s good news for farmers who are drawn to BAG’s mission of rescuing surplus crops for people in need. But harvesting the produce is just one step in ensuring food diversity. Storing it and delivering it are also essential steps, and the staffers at BAG are experts in that arena, too, said Anderson. And the same goes for BAG’s board, which Anderson says is filled with smart, thoughtful, committed people. At 55, Ken Osgood of Cambridge has the good fortune to have been retired for a few years, but that doesn’t mean he’s the retiring sort. He’s anything but that. Three days a week during harvest time you’ll find him—with a water bottle, knee pads, a three-legged ladder, or whatever the job requires—working in fields around Massachusetts. One of those days he gives to the Field of Greens in Lincoln, and two of them he donates to BAG, travelling to farms where there is produce to glean. Osgood has always spent a lot of time outdoors. As a child growing up in southern New Hampshire, his playground was the swamps and woods on the 30 acres his father bought in the 1960s. Later, through his teen years and college, he worked part-time at an apple orchard. “I just came to find a lot of satisfaction in being able to track, in that case, fruit through the entire cycle of the year,” he said. With BAG, Osgood has found that kind of satisfaction again—on multiple fronts. Having volunteered for BAG for four years, Osgood’s preference is not to work on consecutive days because sometimes the tasks can be draining. “The morning after some intensive gleaning, I feel older than I am,” he said, recalling one 90-degree day he spent picking chard. “That was intensely difficult.” But Osgood has developed a strategy for those kinds of brutal temperatures: He carries a water bottle together with a cold pack in an insulated bag, and makes sure he takes a swig every few minutes. However tough the conditions occasionally may be, the camaraderie on gleaning trips helps to smooth out the bumps. Sometimes, because it’s so delightful to be outside, Osgood will work beyond the usual three-hour shift volunteers commit to. “There was a time last year where I basically picked apples until dark. It was a really nice day in October. It felt nice to be out there,” he said. And then, there are the gleaning trips that are like no other—the ones that can send you tumbling back through the years to the more carefree time of your childhood. That’s how Osgood described a trip to Dracut to pick collard greens in the snow. Unsurprisingly, he said, there were just two gleaners working that January day. “There was a space between the road the field that was covered with hard-glazed snow pack, so we were kind of sliding down the hill, bringing our boxes out to the field—laughing a lot in spite of the cold,” he said. All told, Osgood has been on 140 trips. And like other people talk about their jobs, he talks about BAG—a lot.